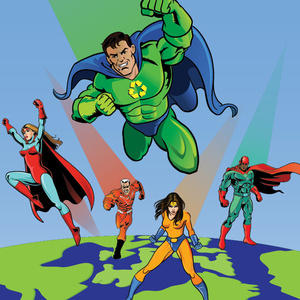 As Earth Day draws near, superheroes from across the land – uh, Virginia – are uniting in the fight to save Earth. Dig out your neon tights and dust off your capes for this adults-only night of reducing, reusing and recycling in a quest to preserve our planet’s resources. Programming is still taking shape, but one thing’s for certain: it will be SUPER. Mark your calendars and start searching for your superhero costume; they are strongly encouraged. Seriously. Wear one. $10 admission ($8.50 for Museum members); food and drink is extra. Guests must be 21 or older to attend. ID required for entry, no exceptions.